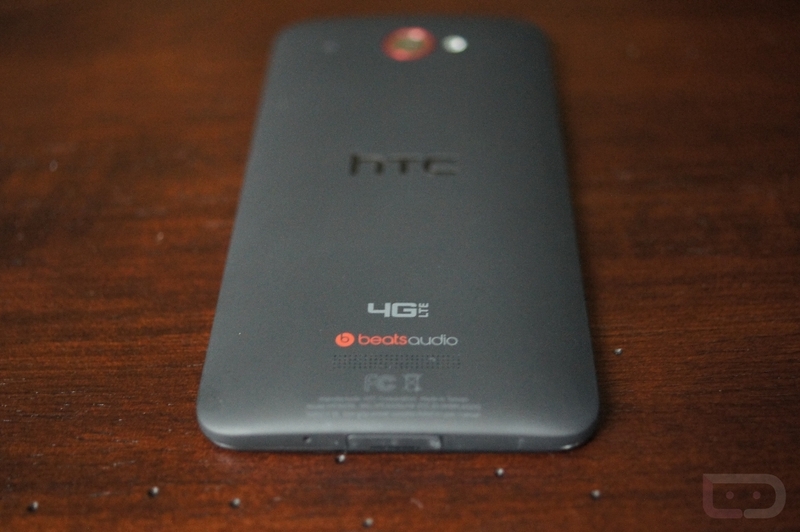 Verizon’s HTC6445LVW Cruises Through Bluetooth SIG, “DLXPLUS” or Big Red’s HTC One Equivalent? Back in early February, we caught wind of a new HTC device that appeared to be headed to Verizon under the codename “DLXPLUS.” For those not familiar with the naming convention, think of the DROID DNA as the “DLX.” At first, we were hoping that this would be Big Red’s version of the HTC One because the purported specs matched up exactly, but since we know now that the device is landing everywhere but there, we’ll assume this phone must be something somewhat different. Will it be the DROID DNA+ or perhaps the DROID ONE (not likely “One”)? 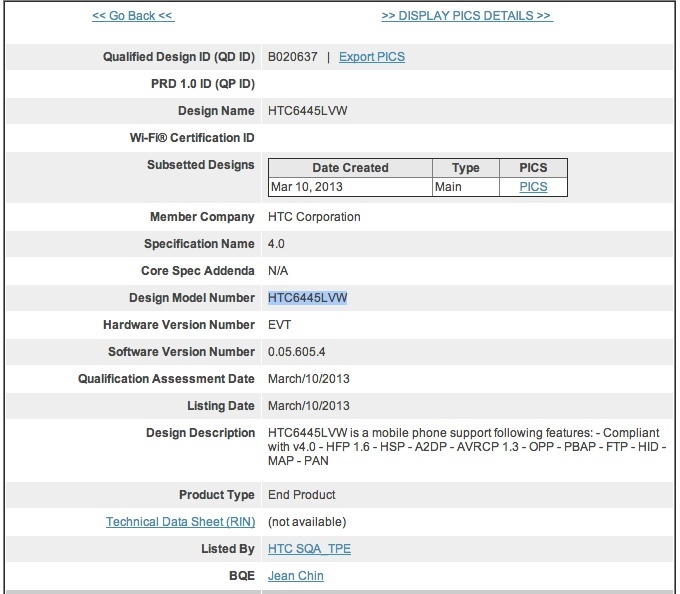 Over the weekend, a device under the model number HTC6445LVW stopped by Bluetooth SIG to pick up a certification. While there isn’t a mention of the codename “DLXPLUS,” we’re sort of assuming here that it’s the same device. The DROID DNA runs under the model number HTC6435LVW and codename “DLX,” so it would make a lot of sense for 6445 to be the next in line. Also, the “VW” in the model number stands for Verizon Wireless, in case you were wondering. In the previous spotting of the DLXPLUS, we got what are being reported as potential specs, all of which match up to the One. The device should have a 4.7″ 1080p FHD display, 2GB RAM, Snapdragon 600 quad-core processor clocked at 1.7GHz, 2.1MP front camera, 13MP rear camera (or is it a 4MP UltraPixel? ), 16GB internal storage, Jelly Bean, and Sense 5.0. It would have been foolish for Verizon to completely pass up on HTC’s newest device, even if they only think they can only sell phones branded as DROID, Galaxy, and the iPhone. But one way to make it fit their needs, is to brand it “DROID,” slap a fun name on it, and then promoted it their own way outside of HTC’s One campaign. Verizon folks, there is still a chance that you get a device similar to the One, it just won’t be called the One. Jeremy Returns in Another Samsung Galaxy S4 Teaser, Drops Clues?